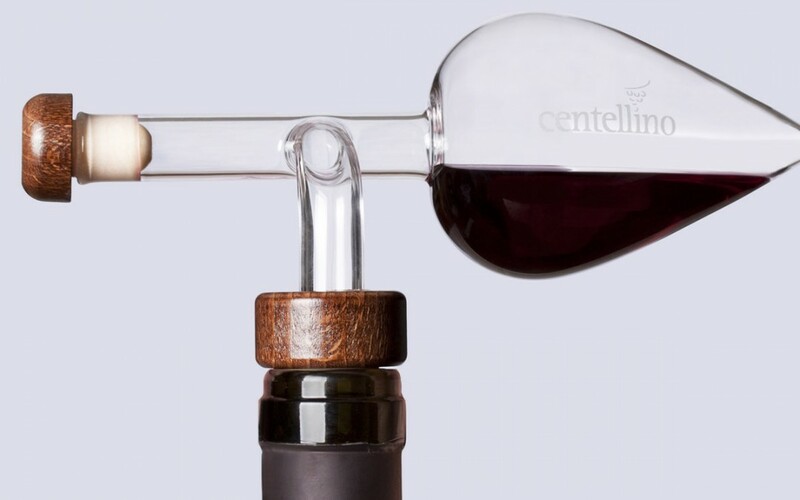 Our truly handmade Italian crystal Centellino decants, aerates and oxidizes a single glass of wine while allowing the bottle to be re-closed. 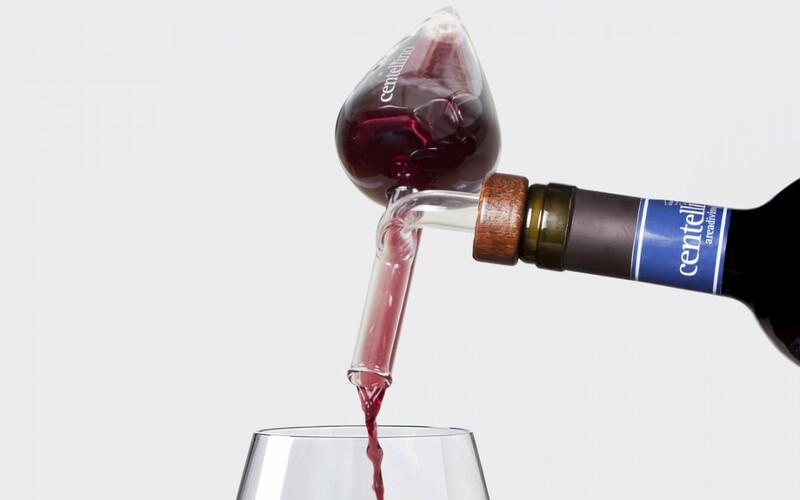 This is a must have for all wine lovers. A great gift present for any occasion it will allow tasting the flavors and natural aromas of your wine. Remove small Centellino's cork.Incline the bottle with the “amphora” (bowl) downwards and let the wine fill up the “doser”. Rotating the bottle a little more than 90 degrees. To Serve a chalice keep the Centellino higher than the bottle making sure the small entrance to the bottle will stay on top(as per picture). 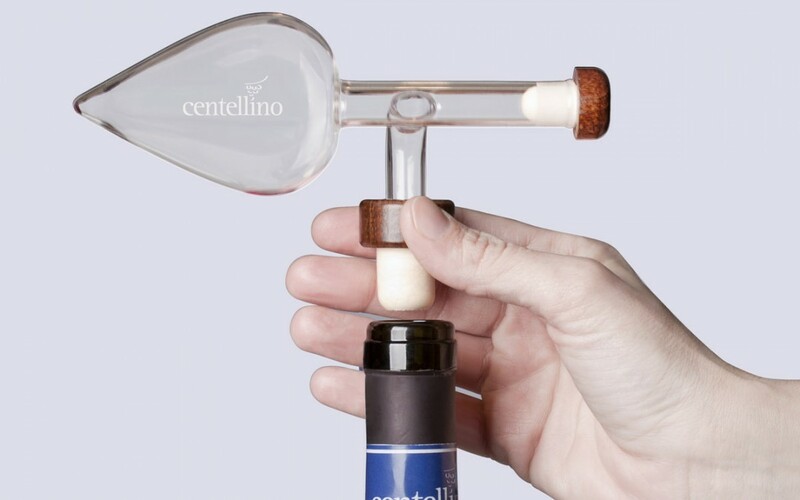 Leaving the Centellino inserted into the bottle will preserve wine's flavor for future use. 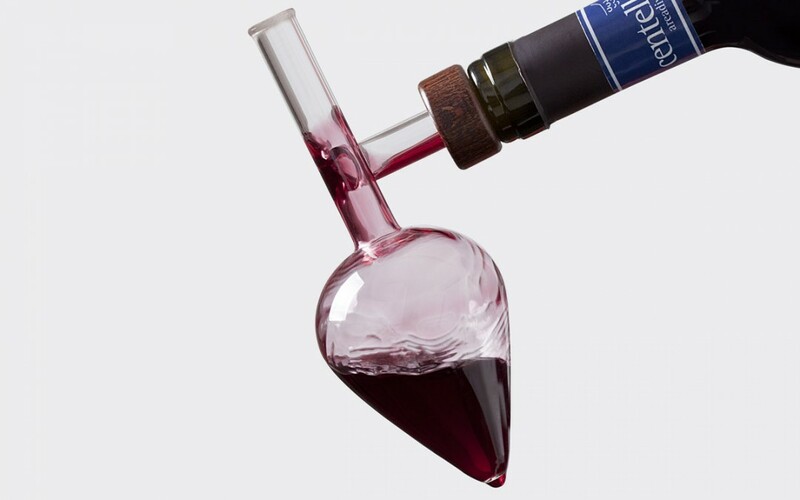 To clean the aerator remove it gently from the bottle by the large wood stopper and wash it under warm water. DO NOT PUT into the dishwasher.